To celebrate the 2012 Olympics we will be posting several Olympic themed posts so keep checking back. For a sport to become part of the Olympics is a long process and for most sports it takes about nine years from first campaigning for your sport to be featured in the Olympics to it becoming a reality. The first criteria needed is that the sport be recognized by the International Olympic Committee (IOC) as an international sport, then the sport needs to be governed by a single federation. After this you can campaign to have your sport in the Olympics and the IOC panel looks at various criteria to determine if indeed the sport is a viable option for entrance into the Olympics. The two new sports to be featured in the 2016 Olympics to be held in Brazil are Rugby Sevens and Golf. The IOC recognized chess as an international sport in 1999. The World Chess Federation is one of the largest sports organizations in the world, with 170 member countries. 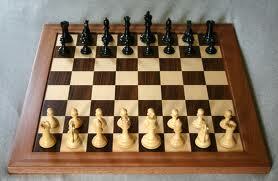 As a sport chess is recognized in 105 countries. Chess fulfills all the standards required by the Olympic federation to be part of the sports undertaken. This sport would be of little cost to the IOC as event organizers would already have the equipment needed to fence off areas in which the players will participate. 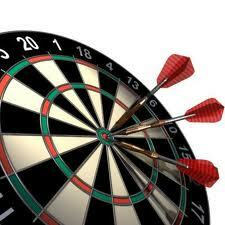 Darts is a global sport which requires a huge amount of skill. The level at which dart players train and practice now is greater than ever before. If darts were in the Olympics it would give recognition to the sport as well as maybe change the attitude toward dart players. Darts would not require a large space or new infrastructure if included in the Olympics. Darts first needs to be recognized as an international sport by the IOC, so this sport still has a long road ahead before it could be possible for it to be part of the Olympics. 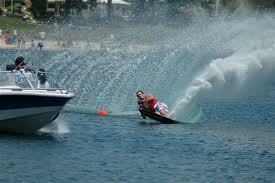 Water Skiing is a modern sport practiced world-wide by about 30 million participants. Over 75 countries have formal water ski federations. The sport offers high energy, high speed and makes for an exciting presentation. There are other water sports in the Olympics that require bodies of water such as sailing and rowing, so water skiing could use these same areas for this sport. Although water skiing is recognized by the IOC, the Olympic charter bans sports with an element of motorization, so this sport would have to get past this in order to be selected to participate. 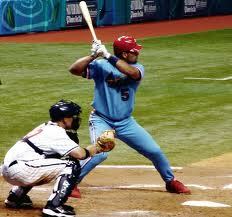 Baseball became an official Olympic sport at the 1992 Summer Olympics. The sport was last played at the 2008 Olympics in Beijing with South Korea taking the gold. At the IOC meeting in 2005 baseball and softball were voted out of the 2012 Olympics becoming the first sports voted out of the Olympics since polo was eliminated from the 1936 Olympics. The two slots left available were filled by golf and Rugby Sevens. The Olympics does not have any of the cue sports i.e. 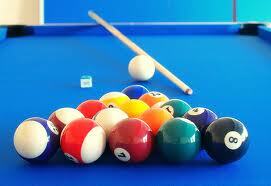 billiards, snooker or pool, in the Olympics although they are all recognized by the IOC. Cue sports are global with over a hundred million all over the world who play. Cue sports have proven to have a wide audience and this is a sport that is easy accessible thus enjoyed by spectators as well as TV viewers. 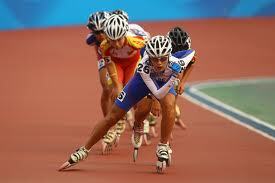 Competitive roller sports (inline skating , roller skating and roller hockey) have pushed for some years to be part of the Olympics. These sports are part of the Pan American games and the World Games. In 2012 the president of the IOC told reporters that roller sports are one of the eight sports in consideration for the 2020 Olympics. 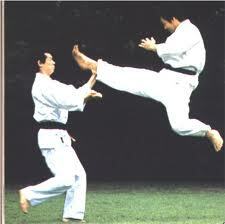 Martial arts have had a long-standing history in the Olympic games with Judo and Taekwondo being popular. Karate is a striking art using punching, kicking, knee and elbow strikes and open handed techniques. The sports claims to have 100 millions competitive. It narrowly missed being included in the 2016 Olympics by getting two-thirds majority vote. The sport does seem to be a favorite for a place in the 2020 Olympics. Surfing is a global sport, more popular and more widely practiced than many current Olympic sports. Surfing is pursued in every corner of the world, in more than one hundred countries. There are more than 25 million surfers worldwide. If surfing does become an Olympic sport and the host nation is not on the ocean then man-made wave pools can be built. 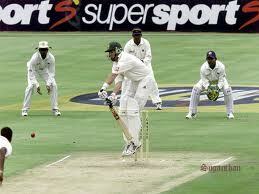 Cricket is a world wide sport played in over 130 countries. Cricket was featured in the 1900 Olympic Games but has not been featured since. Cricket however is featured in other multi-sports events such as the South Pacific Games, Commonwealth Games and the Asian Games. A single match of cricket usually takes about 8 hours, which would mean a full ground of the Olympics would have to be reserved for the whole day. But with the new version of Cricket Twenty20 which makes the game last about 3 1/2 hours this version could be expected to be played in the Olympics. 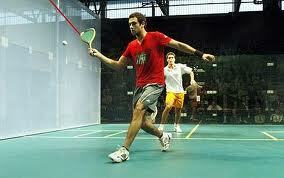 Squash could make a positive impact at very little cost as squash is a portable sport. A court requires minimal space and can be erected anywhere. The worlds top men and women have all signed a pledge that they would compete in the Olympic games. Squash is a high speed racquet sport played by two players in a four-walled court with a small hollow rubber ball. According to the World Squash Federation there are 188 countries and territories in the world having a least one court. It is said that squash is a strong contender to be included in the 2020 Olympic Games in Brazil.